One thing Apple failed to mention last night at its WWDC 2015 shindig is that itsWatchOS 2 update will have much improved security. Early Watch adopters noticedthat all a thief would need to do to pair the wearable with a new iPhone would be to reset it. 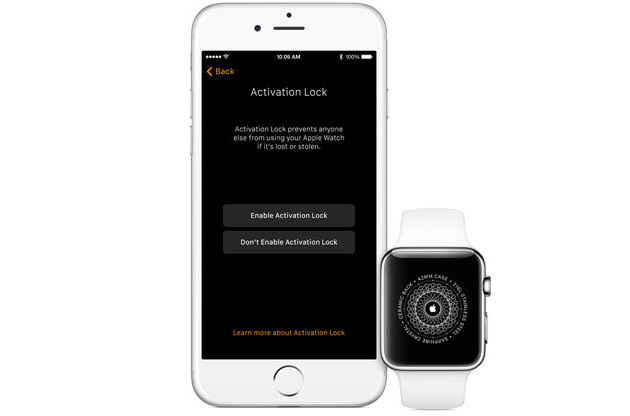 Although that's documented as a "feature" in case you forget your passcode, Watch will get the same Activation Lock as an iPhone when WatchOS 2 arrives this fall. Activating it will then require your iCloud Apple ID and Password, making it effectively useless for thieves. Apple may have also made the move because the new OS will support native apps, so more of your personal info could end up in the Watch's 8GB of internal storage. Apple, Microsoft in Cahoots: Bing to Replace Google as Default iPhone Search Engine?